The communities of Cleator and Cleator Moor were dependent on the mining and iron industries, and during the Great Depression of the 1920s and 1930s, times were very difficult for many. Fr. Clayton (priest in Cleator from 1904 to 1954) placed an appeal in the national Catholic press, and generous support was received from around the country.To provide employment for some of the parishioners Fr. Clayton bought some land adjoining the church's site and asked for volunteers to help construct a replica of the Grotto at Lourdes. These volunteers were rewarded with vouchers for food and clothing. 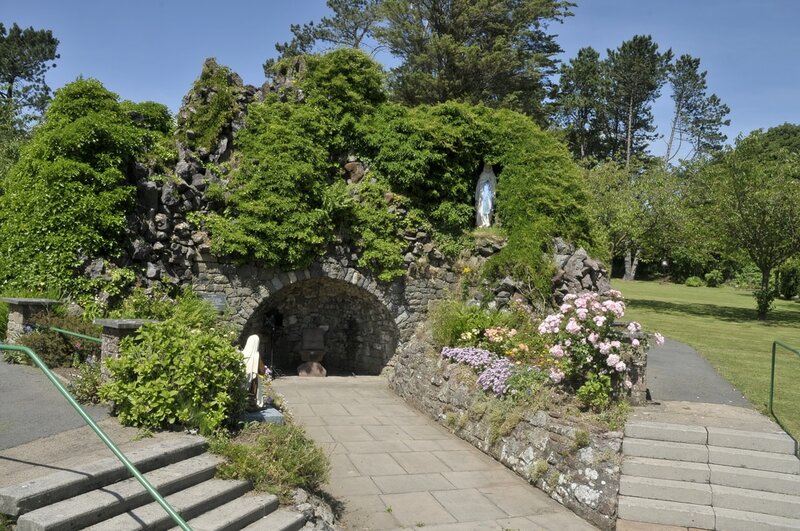 The Grotto was opened on the 30th October 1927, and rapidly became a focus for pilgrimage from all parts of the diocese. The tradition of pilgrimage continues with a number of groups coming each year. In early September the diocesan pilgrimage brings several hundred people together.